Whey protein concentrate is manufactured by drying the material resulting from removal of sufficient nonprotein constituents from pasteurized whey. 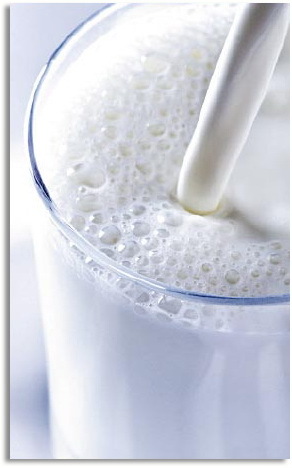 White to yellowish colour, typical milk taste and smell without foreign odour. Nutritional and protein fortified beverages, bakery, processed meat, dietetic foods, infant foods, confections. Replacement for skimmed milk (WPC34), alternative to egg-white (WPC80), boosts nutritional value of finished product, fat mimetic, good water-binding properties, gelation effects, excellent stabiliser, high solubility in a wide range of pH conditions, viscosity development, whipping/foaming properties, browning of baked products.